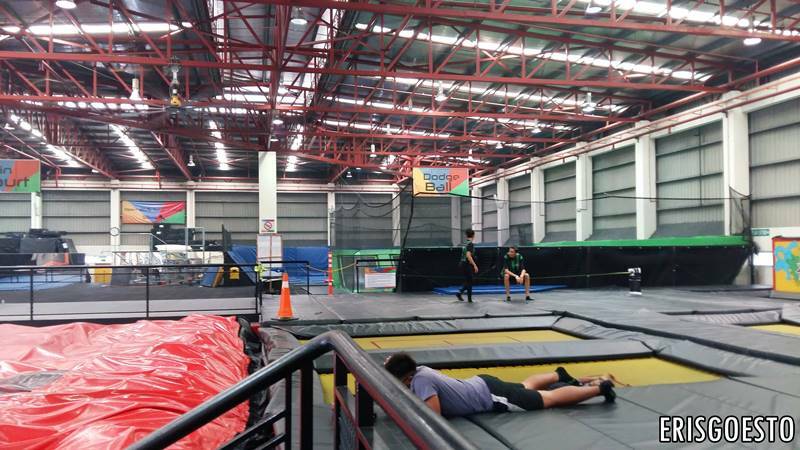 If you’re bored of going to the same ol’ malls every weekend, here’s a suggestion: go trampoline jumping. Say what? 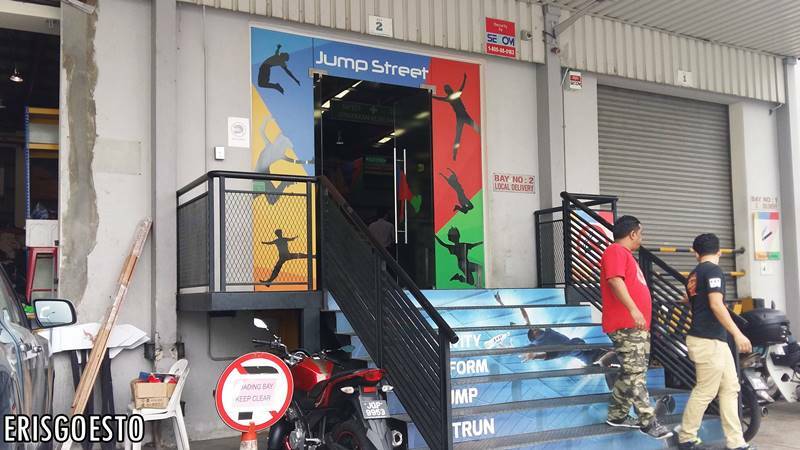 At Jump Street Asia in Section 13, Petaling Jaya, both adults and children alike can work up a good sweat while having loads of fun, with hundreds of their interconnected trampolines and obstacle courses housed within a factory building. And if you thought it was only for kids, think again. A good 10 minutes on the trampoline is equivalent to the cardio you get from a 30min jog – minus the impact on our joints! I came here twice in two weeks; one for a media challenge, and the other with my brother over May Day weekend. Jumping sessions are by the hour, which was more than enough for us to get our heart pumping. If you’re an amateur, no worries as they have staff on site to give you a quick 10min warmup + basics. The place is massive, with five different sections. 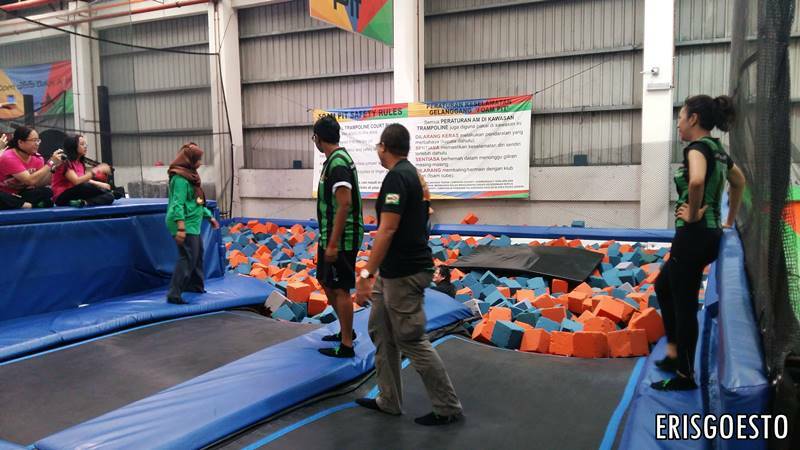 The Cage is for children below 110cm, while Foam Pit is where you can dive into soft foam from a platform or from trampolines. Slam Dunk features three lanes of basketball hoops, there’s a Dodgeball Court and the Main Court which is the general trampoline area. Cool graffiti sprawled on the walls. They have locker facilities (RM4 for two hours), toilet but no shower. The High Performance area features Olympic-spec trampolines with extra bounce, so it’s recommended for jumpers that are more advanced. DodgeBall Court is fun when you have a big group of friends along, or if you’re willing to play with strangers. A judge will be on court during the game. Be aware of your own capabilities! I thought I could do this air bag thing, which I did, but almost broke my foot in the process when it snagged on that little concrete space between the bag and the trampoline lol. The Foam Pit was really fun! You can either launch yourself from the trampolines, or from the elevated platform. Doesn’t look that high but when you jump into the soft foam, you really feel the drop. The foam is squishy and hard to get out of so it works your muscles when you’re trying to ‘swim’ onto the surface. Also, beware of annoying jumpers who hog the platform. I met this family of kids who went on so many times without allowing others in line to play, and the staff did nothing to stop them. In the end I got fed-up and just jumped from the trampolines instead. 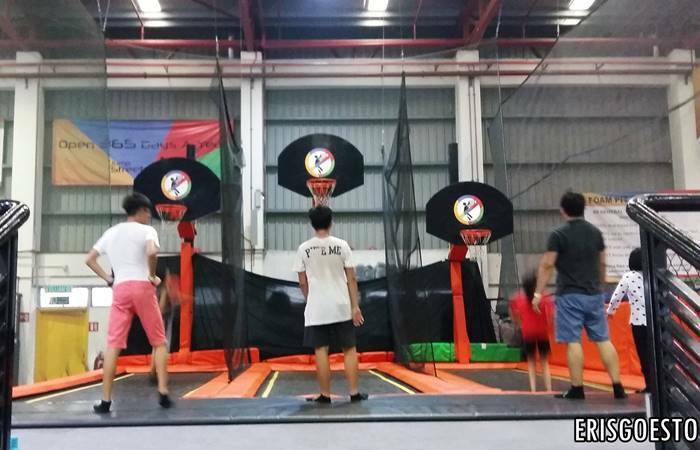 Scoring a hoop while stationary seems hard enough; try jumping on a trampoline while at it! Overall it was a really fun experience and more interactive than just jogging or going to a gym. If you’re an advanced jumper, you can even do various tricks and stunts on the trampoline, like backflips. 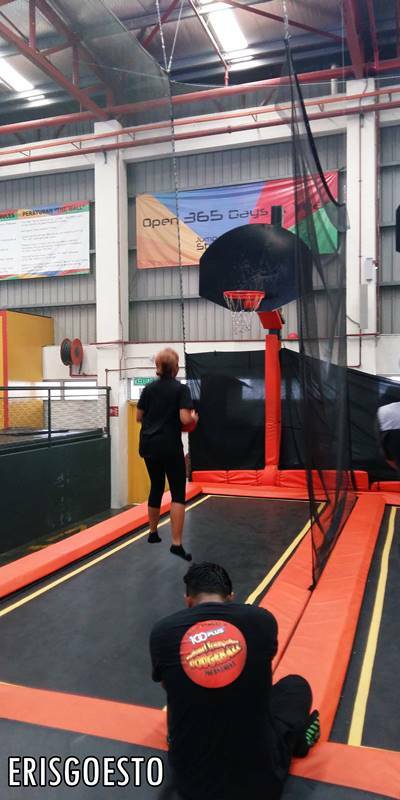 I’d recommend going on an off-peak period though coz it gets crowded on weekends with screaming children, and you might have to wait your turn to go on some trampolines.